Company releases a new API to power chatbots as well as a Direct Message tools for developers. 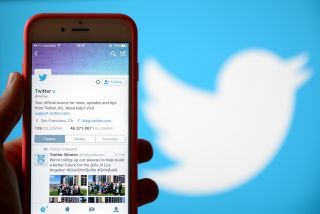 In an effort to make it easier for businesses to provide customer service and build chatbots for its platform, Twitter is rolling out a new enterprise-level API that will provide access to tweets, retweets, likes, follows and other real-time activities. The move is part of the company's larger plan to revamp and expand its API platform though this announcement will also help rebuild its relationship with developers. Twitter has taken a number of missteps when it comes to developer relations including encouraging the use of third-party apps then placing restrictions on them, hosting developer conferences then later cancelling them all together and offering a free suite of tools tailored to developers and then deciding to sell them instead. Now the company has decided to streamline its API platform and publish a roadmap to provide developers with more information regarding upcoming changes. Twitter's new enterprise Account Activity API will allow developers to build customer service apps and chatbots that help boost brand engagement on its platform. While the current Account Activity API enables developers to pull all of the activities related to an account in real-time, the new enterprise version is better suited to those who need to pull data from a larger number of accounts along with multiple webhook URLs. The new enterprise API will also include reliability features such as retries and managed support. Twitter is also officially launching a suite of developer tools for Direct Messages that includes features such as Quick Replies, Welcome Messages, Buttons on Messages Customer Feedback Cards and Custom Profiles. These tools have already been used in chatbots created by Samsung, MTV, TBS, Wendy's and others. While Tesco and Evernote have used them to help with customer service. Twitter's Direct Message tools and new enterprise APIs are now both currently available for use by developers.